Changi Airport is once again the World’s Best Airport (for the 7th consecutive time) and this was before the Jewel Changi opened. 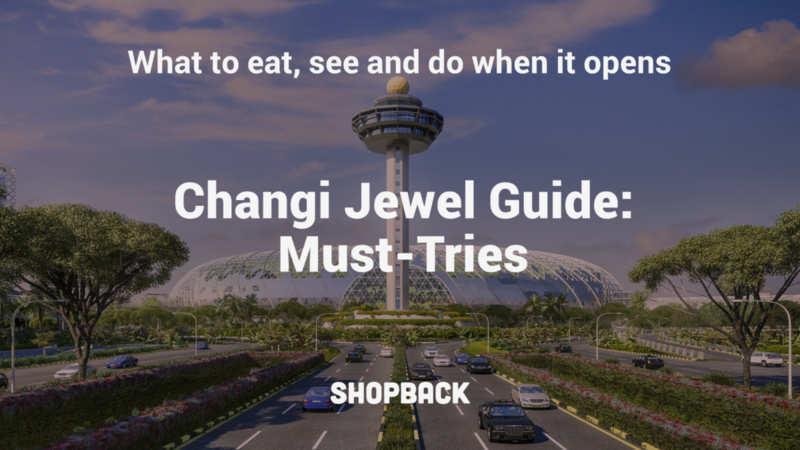 Now that Jewel Changi will be opening on 17 April 2019, retaining the title is going to be even easier. 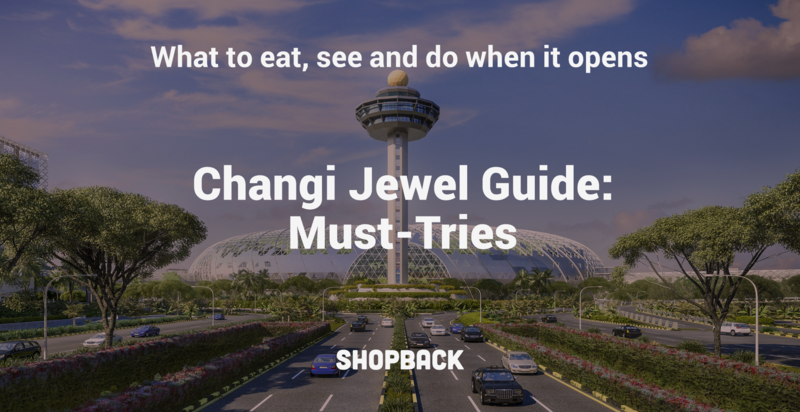 The Jewel Changi, which was 5 years in the making, is a retail and lifestyle mall. It houses an indoor waterfall and an indoor “forest”. This is on top of all the other exciting food outlets and retail stores that will open there. Here is a quick guide of the top things to eat, see and do when it opens. This is the reunion we have all been waiting for. A&W in Singapore used to only be a sweet old memory but come Jewel Changi Airport’s opening, it will be reality (finally!). Imagine slurping down the iconic root beer float on a warm afternoon or digging into their curly fries. Although some Singaporeans have made the effort to go across the Causeway to get some A&W, nothing beats having it on home soil. Shake Shack is finally coming to Singapore! Hailing from New York, the casual fast food joint serves arguably the best burgers in New York. You can expect Shake Shack favourites like the ShackBurger, meat-free Shroom Burger and many more. The patties are made of 100% freshly ground Angus beef which gives that extra juiciness. I remember splurging my last wad of pounds on Burger & Lobster when I visited London. It was my second time in 2 days at the restaurant and I didn’t want to spend my cash any other way. The popular UK restaurant chain focuses on 3 items on their menu: burgers, lobsters and fries, and lobster rolls. Burger & Lobster will be located on the top floor where diners can have a view of the Rain Vortex. The flagship restaurant of Kam’s Roast in Hong Kong earned one Michelin Star within 4 months of its opening back in 2015. You can expect to dine on the Pipa Duck, roast duck that is split and flattened while retaining super crispy skin. Kam’s Roast will also sell roast duck ready for takeaway to take on your flight. Pink Fish hails from Norway and specialises in seafood-centric fast food. So imagine salmon burgers, wraps and poke bowls! The salmon will also come directly from the Norwegian seas. Although Pink Fish is less familiar among foodies here, it is definitely worth a try as this will be Southeast Asia’s first outlet. If local food is more of your thing you cannot miss out on Violet Oon. The Jewel Changi Airport’s outlet will be the biggest for the establishment. As their menu is filled with local favourites, you can try their dry laksa, beef rendang and satay. There are also snacks like gula melaka cake and pineapple tarts which you can try! Craving for tacos or ribs? Tonito serves up some mean Latin American food which just looks too sinful and delicious at the same time. Expect some Peruvian-American delicacies to chow down on as well. Muslim foodies rejoice! El Fuego by Collin’s is a European style dining place which is in the process of serving halal food. The restaurant is done by Western chain Collin’s and the menu has been crafted by the capable Koh Han Jie. Koh won the Young Talent Escoffier Asia 2018 culinary competition and was the first Singaporean to do so! You can expect really good food here. Beauty In The Pot will be your top hotpot pick the next time you’re at Changi Airport! The popular hotpot chain by Paradise Group is always booked way in advance. Choose from a wide variety of seafood, meat and herbal broths. If you’re looking to improve your supple skin, you can choose the beauty collagen broth as well. You can get Cashback when you eat at Beauty In The Pot with ShopBack Go! Nothing beats having a seafood feast. But have you tried chowing down on chilli crab just before you jet off for your trip? We recommend going easy on the spices but if you can’t resist, Jumbo Seafood will be serving your all-time favourite local seafood dishes. Another popular chain to open at the Jewel Changi is Tim Ho Wan. Get your dim sum fix and don’t miss out on their Hong Kong Braised Beef Soup Noodle too. Sushi-tei was born and bred in Singapore itself! It opened in 1994 and has since expanded across the region. Sushi-tei serves over 370 Japanese dishes ranging from sushi to sashimi and many more! Another reason to visit Sushi-tei would be the Cashback you can earn when you use ShopBack GO! Crack open a cold one with the friends and family at Tiger Street Lab while enjoying the view of the Rain Vortex. Unlike any other bar or pub that sells Tiger Beer, the Tiger Street Lab brings exclusive seasonal brews only to Jewel Changi. The seasonal brews include an orchid-infused beer. You can also get some snacks to go along with your beer here. Emack & Bolio’s goes above and beyond with their ice cream. If you love toppings then you’ll love Emack & Bolio’s! Picture having all kinds of cereal toppings just scooped into your cone with your ice cream. They also have ice cream pizza, froyo and smoothies as well. The Alley is a famous bubble tea chain which comes from Taiwan. Many flock to this store for their Brown Sugar Deerioca bubble teas. If you’re looking to try a new brand of bubble tea, look no further. The best thing about this outlet is that it is open for 24 hours. Any time is now bubble tea time. Want to go have dessert but looking for a healthier option? An Acai Affair is opening an outlet in Jewel Changi as well! Get your acai fix with fresh ingredients like granola, berries and many more! Great for a light snack just before rushing off for a flight! 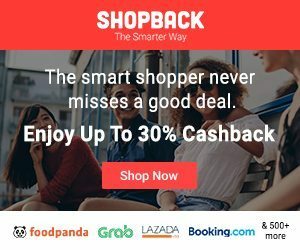 You can enjoy Cashback with your acai bowl now at An Acai Affair with ShopBack Go! The 40 metres high indoor rainfall named the Rain Vortex is the largest in the world. The Rain Vortex is housed within the Forest Valley which is filled with trees and shrubs. Gardens By The Bay who? The Rain Vortex itself is a sight to behold. At night, there’s a music and light show using the Rain Vortex which is super impressive as seen in the gif above. Do look out for Crystal Clouds by Andy Cao and Xavier Perrot which consists of glittering installations suspended from the ceiling. Another art installation to admire is Grains of Thought by Singaporean artist Eng Tow. The highest floor of Jewel Changi is the Canopy Park. There are more trees and greenery here but it also doubles as a recreational area. There are Sky Nets which are suspended nets for bouncing or walking along. The Canopy Park also has a Hedge Maze which will be the biggest in Singapore. 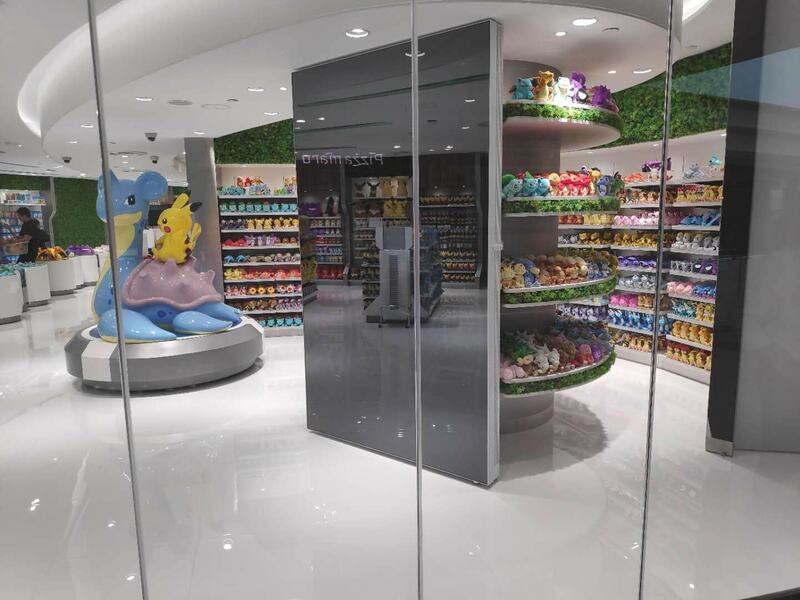 It is beyond cool that the first Pokemon Centre outside of Japan is in Singapore’s Jewel Changi. The Pokemon Centres in Japan are always greeted with snaking long queues throughout the day and we expect this one to be no different. You won’t have to venture to the Far East now to get your favourite Pikachu plushie. Check out the Singapore-exclusive Pikachu stuffed toys there as well! Jewel Changi will house the biggest Nike retail store in the whole of Southeast Asia. This Nike store will have the widest range of products from their sports and lifestyle series. If you can’t find that specific item you’ve been saving up for at your shopping mall, you are bound to find it at the outlet here. YOTELAIR provides an affordable and short-term accommodation option for travellers on transit or even those boarding red-eye flights. Get a small cabin for a minimum of 4 hours which comes with a bed, flat screen tv, 24-hour gym facilities and rain shower. If you just need to freshen up, you can book shower facilities and gym access for $20 per hour. Want to catch a movie before your long vacation overseas? Not keen on watching a movie dubbed in another language as well? Grab some popcorn and book your tickets at Shaw Theatres. Looking for the best flights out of Changi Airport? Check out our travel deals here! And do your shopping at iShopChangi to get up to $6 cashback. Aiman is a huge fan of Dad Jokes. Here's one: In a boomerang shop: "I'd like to buy a new boomerang please. Also, can you tell me how to throw the old one away?"